The best guides. Rich bonefish flats. Happy anglers. 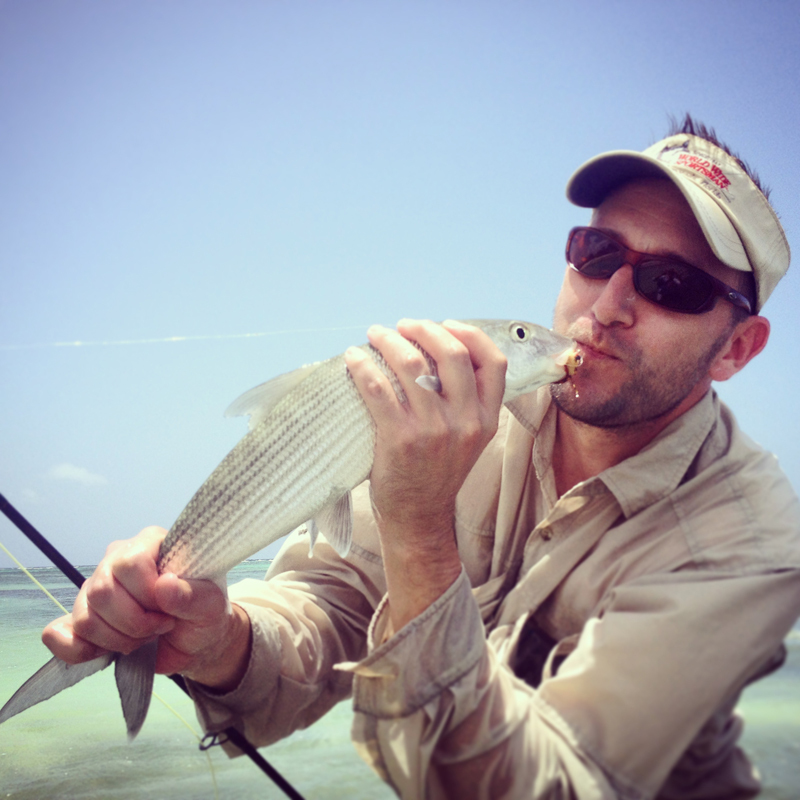 Enjoy fly fishing for bonefish and tarpon on Grand Cayman with the Cayman Islands’ most in-demand guide service. 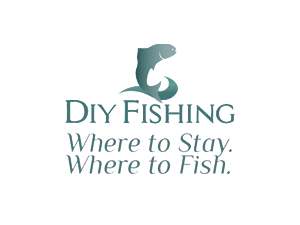 We simplify fly fishing into it’s most basic elements and take the complication out of bonefishing. 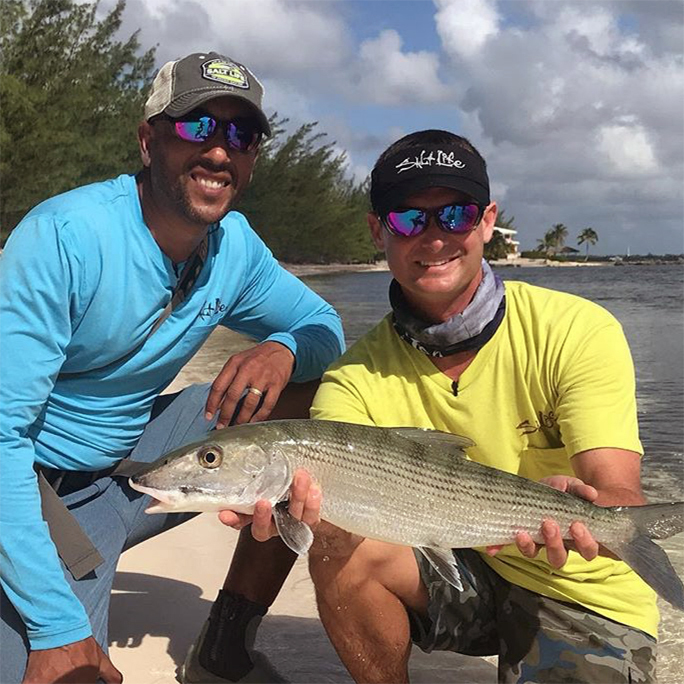 Book a fishing charter with us and stalk tailing bonefish on the shallow flats around the island or try for the acrobatic tarpon & snook in the backcountry and saltwater creeks. 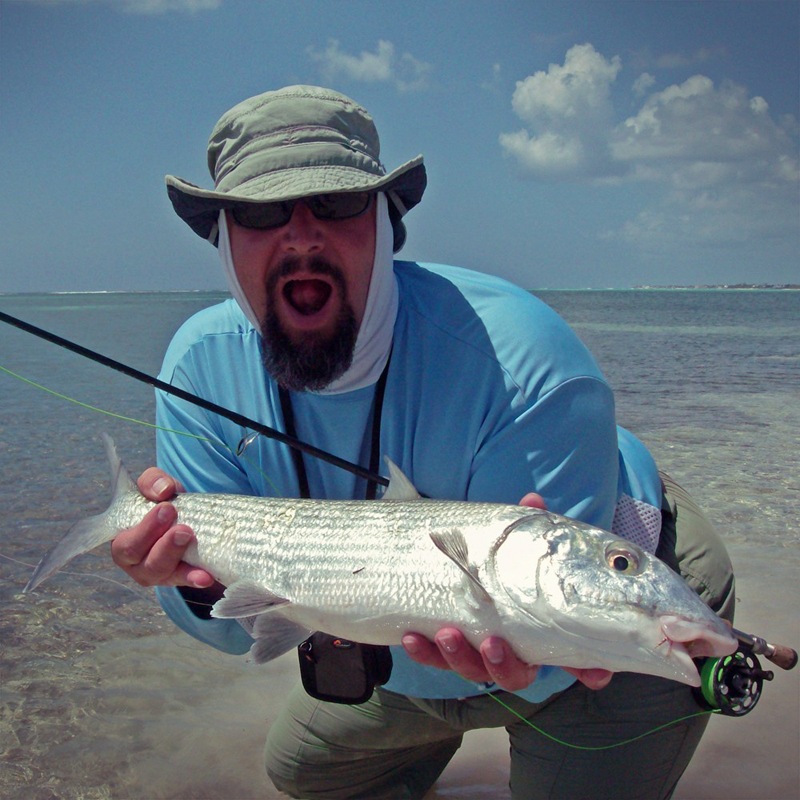 We are the best Cayman fly fishing guides and we love what we do: catching bonefish & tarpon on fly. Also seasonally available are Snook, Jacks, Barracuda, Snapper & even Permit. And we love our bonefish—one of the fastest fish in the sea (40 mph). Anglers travel the world to feel a bonefish on the line. 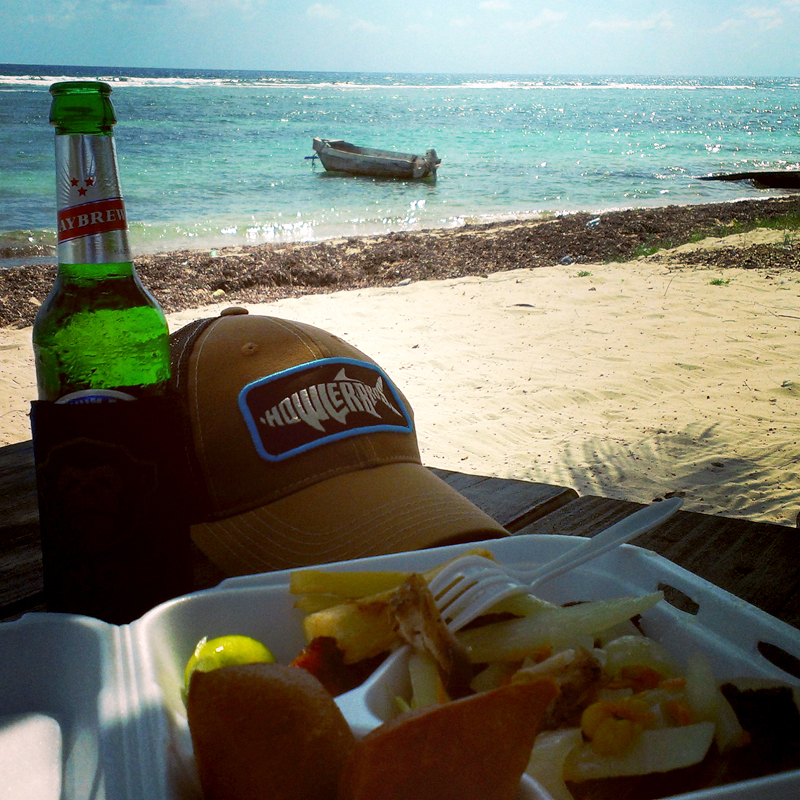 Grand Cayman has easily-accessible, year-round bonefishing… and more! Fishing + a family vacation? Cayman is special, offering all the amenities your family wants—from watersports to wifi (and the best beach lunches)—and fly fishing out the back door. Those who know us, love us. 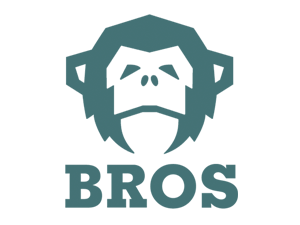 We’re not your typical fishing charter. 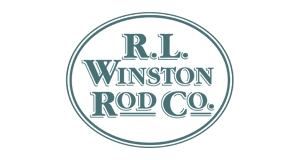 We are also experienced at teaching the nuances of fly fishing—from casting tips to advanced bonefishing techniques. Let go fishing together! and getting a landlocked Colorado ski bum into some bonefish was a definite bonus! Wanted to let you know how much I enjoyed fishing with you last week. On Monday, We caught 1 bonefish, and 3 tarpon. Fantastic! and my line was collapsing in front of me. Now I’m getting 50-55 feet. Had a great time with ya’, especially with my first bonefish and hooking that giant tarpon. Thank you for the day of fishing! It was loads of fun despite the wind and clouds. I truly appreciated your effort and patience with my first [successful] attempt to catch the wary bonefish.